Check out this awesome 2018 retrospective post by nchevobbe about all the nice things that made it to the Console panel last year. 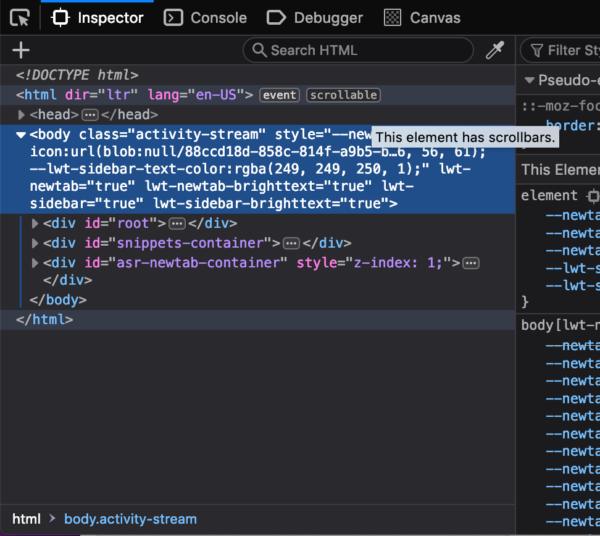 This should make debugging sites on the web easier in Firefox! We are replacing our existing localization formats with a new shiny one: Fluent. You can track our progress on arewefluentyet.com – To this date we already have 2.3k FTL Messages! The default private browsing window page has been given a facelift and a new search input! Just in case you wanted to search for some engagement rings. We’ve released an Anti-Tracking policy document – check out this blog post for more details. 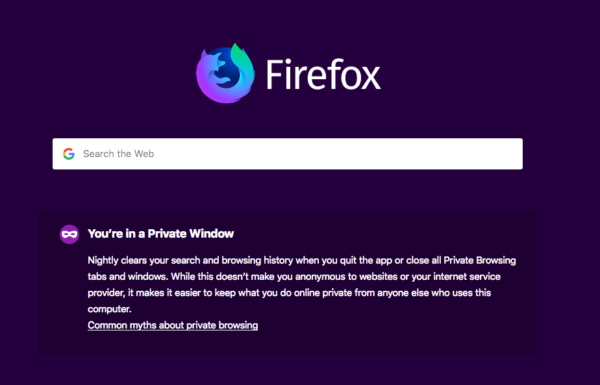 The first batch of changes to not run extensions in private browsing mode by default landed, this is still behind a preference. Ian is working on an export for Firefox 67 that will notify uploaders the server is going away. Blog post with more details on what’s going on with Screenshots. Profile-per-install coming to Nightly 67 Really Soon Now. Thanks to Irene, we now have nice and up-to-date MDN documentation for 2 of our user-facing Firefox 65 features: Tracking CSS Changes, and the Flexbox Inspector. We have also largely overhauled our contribution docs. 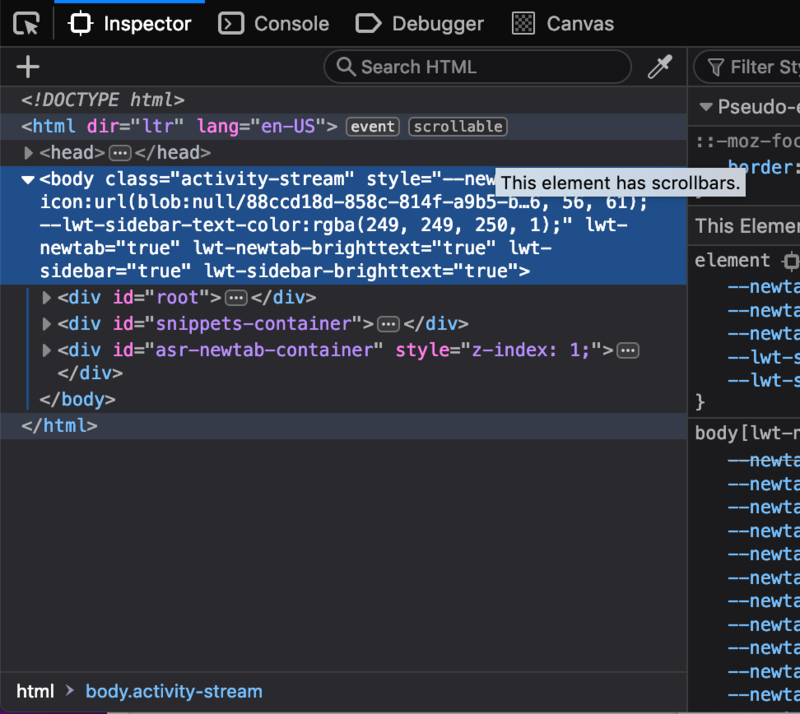 This will make it easier for anyone to start getting into Firefox DevTools development. We want to be able to work faster on the codebase, remove more XUL, get rid of intermittent failures, etc. As a result, we’re setting our plan to remove the Shader Editor, Canvas Debugger and WebAudio Editor in motion: look out for an announcement on the mailing list this week. Then later in 67, there will be a removal notice in DevTools, and in 68, the panels will be removed (we’ll make it possible for interested people to get the code, talk to yulia if you want to know more). We are also migrating the CSS Rules panels to React and Redux. It’s one of our oldest piece of code and also one of our most important. Migrating it means more opportunities to reuse code from other parts of DevTools, a more approachable and predictable codebase, and faster feature development times. In progress right now: a brand new multi-line console editor (bug, tweet)! Because sometimes the things you want to do takes multiple lines. We’re hard at work designing what the next layout debugging tools will be. People love our flex sizing inspection tool, and we want to do more like this. Ideas so far: debugging z-index stacking issues, debugging unwanted scrollbar issues, debugging inline layouts, etc. This will hopefully help you identify important elements in the DOM. Myk is working on expanding the ESLint rule padded-blocks to the whole tree (bug). The ChromeUtils.import changes that Kris is working on, will eventually mean we can get rid of the manually maintained modules.json. However, currently that is still used, so we need to keep updating it for the time being when we change exports. JS Debugger has started using Babel (for jsx)/Jest (elegant JS unit tests)/Flow (type-checking for front-end). Also hoping to start using webpack this week to build the debugger workers. dthayer has a PoC for a warm-up service that preloads DLLs during Windows start-up, reducing the time to first-paint for Firefox. Trade-offs are still being studied. mconley has a patch up to enable the process priority manager on Nightly for Windows. Expect mail to dev-platform and firefox-dev about that. The patch to cause promiseDocumentFlushed to reject if the DOM has been modified in the callback is on autoland. https://perf-html.io/compare/ was deployed yesterday and provides a way to see 2 profiles at once to compare them. We’re planning to change how cookie prefs and permissions are picked up by live documents. We released a new version of the Multi-Account-Container extension, brought to you by Outreachy intern Shivangi Kakkar. We turned on the MitM error page by default in 66, alerting users that their connection is probably broken because of an application in the middle of their traffic.